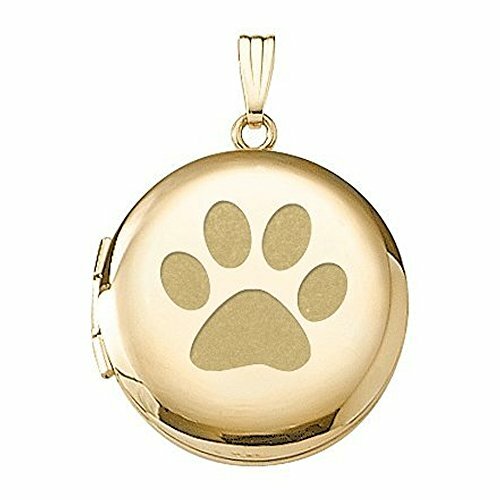 Solid 14k Yellow Gold Round "Dogs Paw Print"
CHAIN IS NOT INCLUDEDLocket holds 2 photos.3/4 Inch x 3/4 Inch and 1 Inch x 1 InchThis photo locket is perfect for a Mothers Day gift, Anniversary gift, Birthday gift or any occasion. 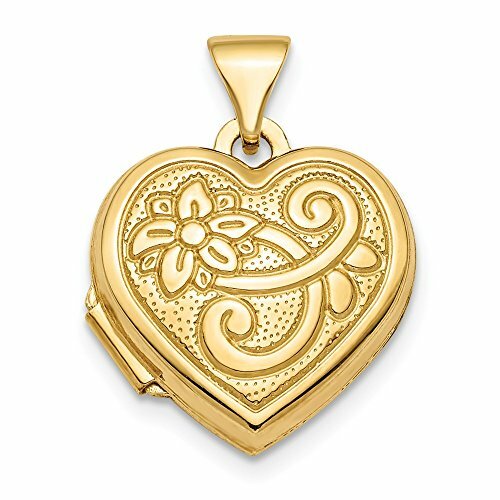 Solid 14K Yellow Gold Round Yellow Picture Locket . CHAIN IS NOT INCLUDEDLocket holds 2 photos.1/2 Inch x 1/2 InchThis photo locket is perfect for a Birthday gift or any occasion. 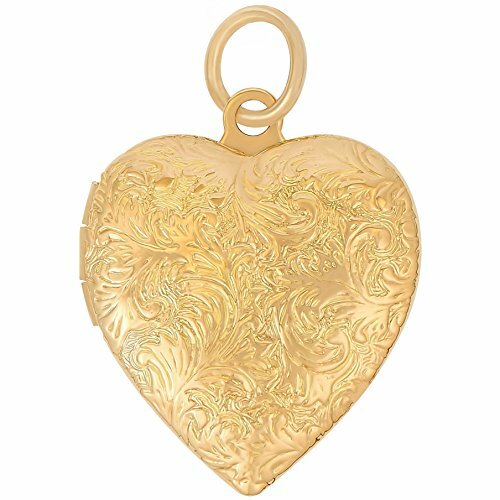 Solid 14K Yellow Gold Small Heart Locket can be engraved with a special messages for to make this locket an even more beautiful gift. 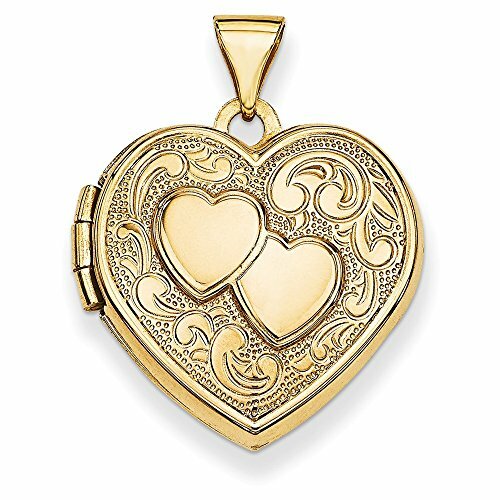 This is the perfect locket for Children or Adults who like smaller jewelry. 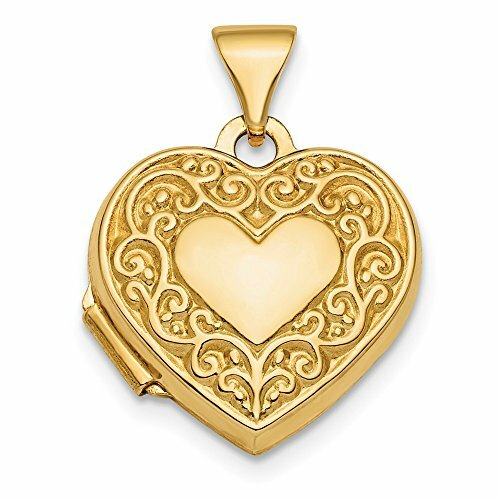 ICECARATS DESIGNER JEWELRY 14K YELLOW GOLD SCROLL HEART PHOTO PENDANT CHARM LOCKET CHAIN NECKLACE THAT HOLDS PICTURESMaterial Purity : 14KLength : 21 mmCharm/Element Thickness : 15 mmFeature : HollowManufacturing Process : Die StruckMaterial : GoldWidth : 15 mmProduct Type : JewelryJewelry Type : Pendants & CharmsSold By Unit : EachPendant/Charm Type : LocketBail Width : 3 mmMaterial Color : YellowBail Length : 5 mmOUR MISSION & BELIEFSOur mission at IceCarats is to celebrate our customers and enhance their lives journey, honoring life's memorable occasions and enhancing the beauty of everyday through our extensive collection of quality jewelry.THE ICECARATS STORY - CRAFTSMANSHIP...QUALITY...VALUEJewelry is our passion - IceCarats is devoted to craftsmanship, quality, and value. Each piece hand stamped for authenticityMADE WITH LOVE FROM US TO YOU - QUALITY WITHOUT COMPROMISEWhen you purchase jewelry from the IceCarats collection, you buy with confidence - Lifetime Warranty and 30-Day Returns .ELEGANT GIFT PACKAGING - JUST ANOTHER REASON TO SAY YES!Receive Elegant Gift Packing On Every Order with IceCarats! 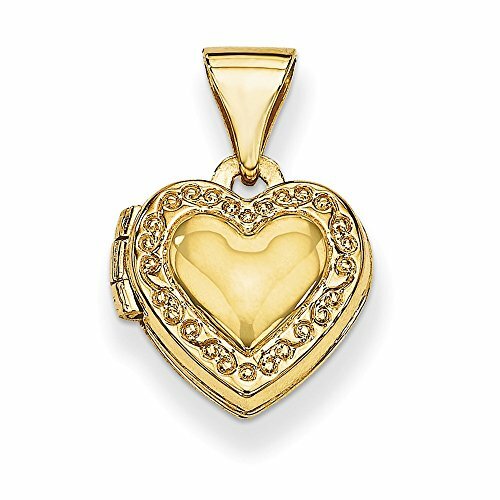 Keep your memories close to your heart with this simple, classic 14k yellow gold locket. 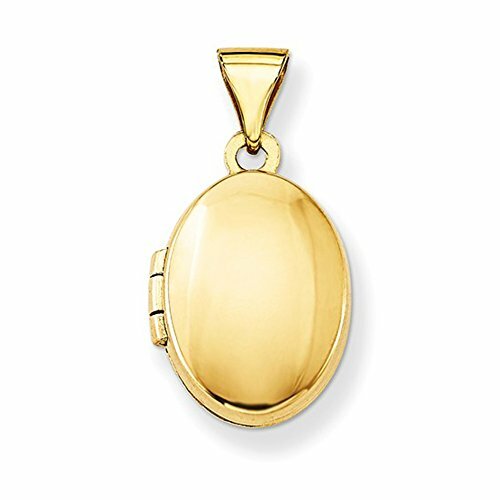 A simple, classic look aglow with smooth lustrous gold, this oval locket opens to display two keepsake photos of your choice. It's the perfect gift for any occasion or for any recipient, such as your beloved (your photo on one side, their photo on the other - when closed it's like you're smooching), your best friend (photos of each of you), or for a mom (photos of the kids). 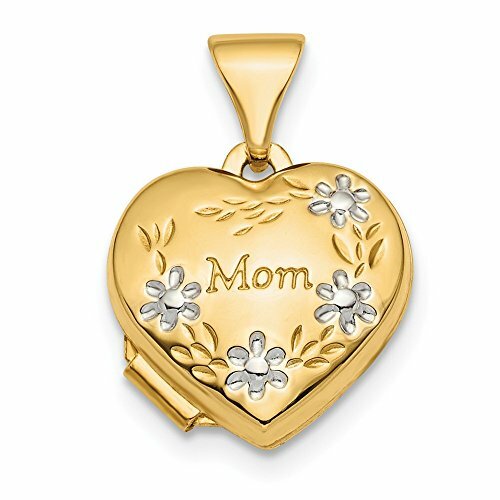 This locket is solid 14k yellow gold, not plated, and comes with an authenticated 14k gold stamp. 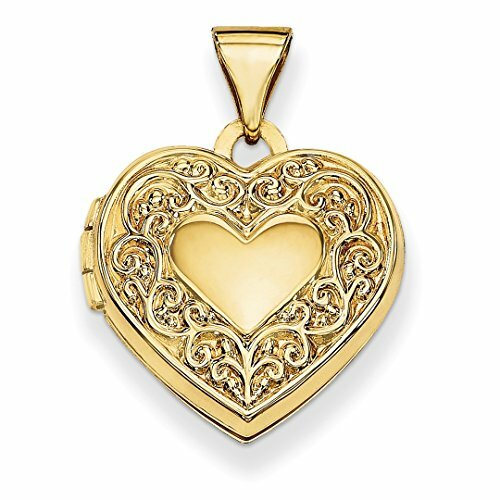 Note: This is a locket only. A chain must be purchased separately. Each item comes gift wrapped in LooptyHoops brand packaging with informational cards on how to wear and care for your jewelry. 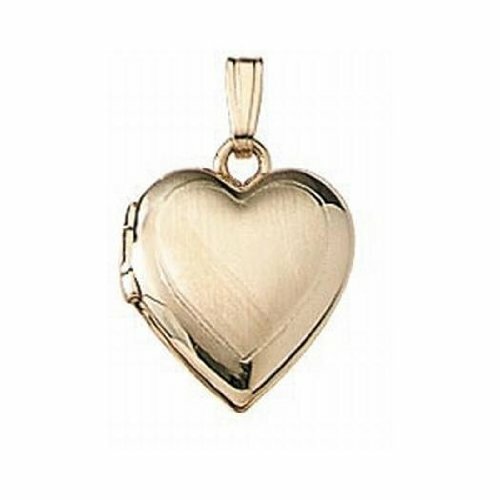 Copyright © Wholesalion.com 2019 - The Best Prices On 14k Solid Gold Locket Online.